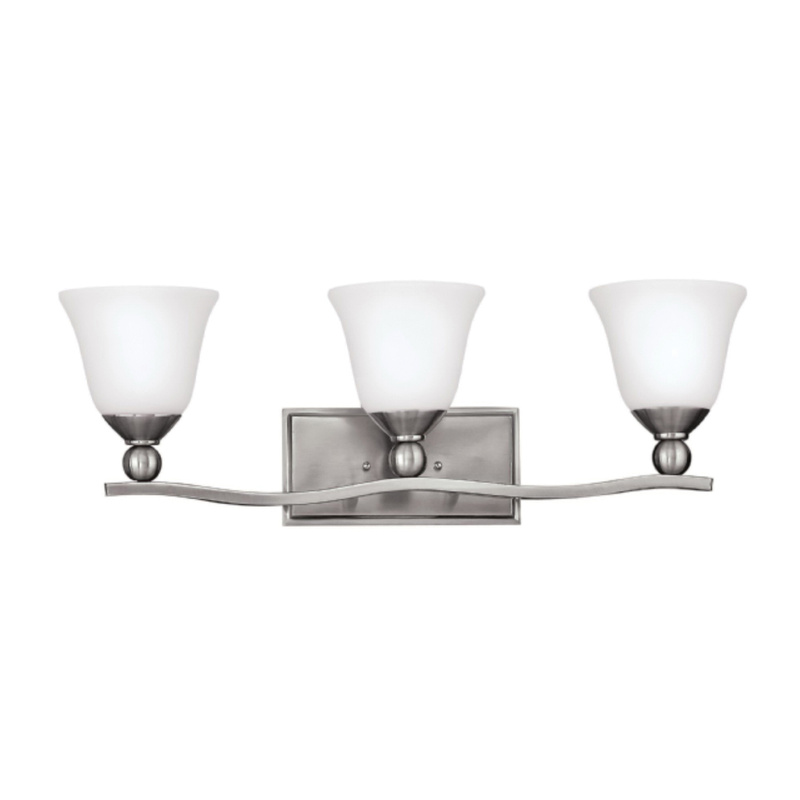 Hinkley Lighting Bolla Collection Bath vanity wall light accommodates three 100-Watt incandescent or three 17-Watt LED lamps. Medium socket lamp has voltage rating of 120-Volts. It features 6-Inch x 5-Inch etched opal shade brings elegance to the home. Wall light in brushed nickel finish, features metal construction. It has a dimension of 26-Inch x 8.75-Inch. This up/down/wall mountable light has 6.8-Inch extension from wall and 6.50-Inch center to top height. Fixture power rating of 300-Watts or 51-Watts. Wall light is cUS damp safety rated.